SANTA MONICA – MALIBU UNIFIED SCHOOL DISTRICT, Respondent. Administrative Law Judge Richard T. Breen, Office of Administrative Hearings, Special Education Division, State of California, heard this matter in Santa Monica, California on January 22 through 25, 2007. Petitioner (Student) was represented by David M. Grey, Attorney at Law. Student’s mother and father attended the hearing on all days, with the exception of January 23, 2007, when Student’s father was not present during the afternoon. 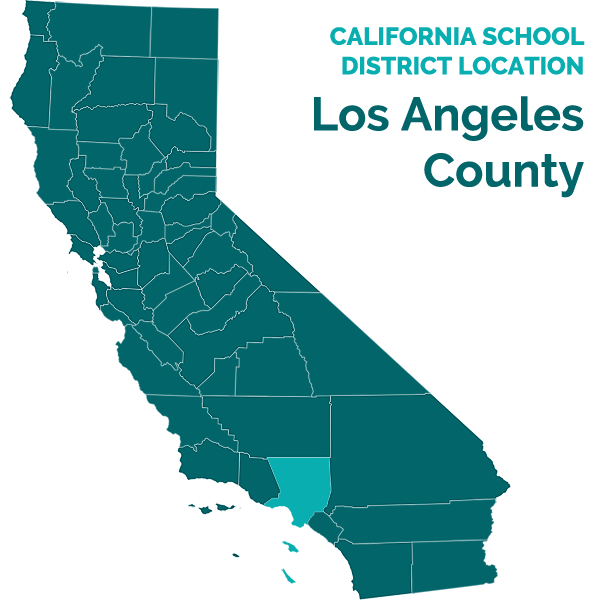 Respondent, Santa Monica – Malibu Unified School District (District), was represented by Patrick Balucan, Attorney at Law. District Special Education Coordinator Michael Jason attended all days of the hearing except for the morning of January 23, 2007, when District Director of Special Education Ruth Valadez attended. Student filed the due process complaint in this matter on June 27, 2006. Student’s request for a continuance was granted on August 11, 2006. At the close of hearing on January 25, 2007, the parties requested the opportunity to file written closing arguments. The request was granted and the matter was submitted upon receipt of written closing arguments on February 5, 2007. 1. Did the District properly assess Student in all areas of suspected disability prior to the March 20, 2006 IEP meeting? 2. Is Student eligible for special education and related services under the categories of specific learning disability or other health impairment? 3. Are Student’s parents entitled to reimbursement for obtaining, as an Independent Educational Evaluation (IEE), the neuropsychological assessment conducted by Dr. Philip Levin (Dr. Levin) in July of 2006? Student contends that the District failed to properly assess him in all areas of suspected disability prior to determining that Student was ineligible for special education. The District disagrees, contending that Student was properly assessed. Student further contends that he is eligible for special education under the category of specific learning disability because he has an attention deficit disorder and demonstrates a severe discrepancy between intellectual ability and academic achievement as measured either by standardized testing, or alternatively, by consideration of a combination of standardized test results and other information such as teacher and parent observation. Student contends that he is eligible for special education under the category of other health impairment because he suffers from an attention deficit disorder that interferes with his ability to timely complete independent schoolwork. For purposes of eligibility under the category of specific learning disability, the District contends that Student is ineligible because there is not a severe discrepancy between Student’s intellectual ability and academic achievement and even if there was such a discrepancy, Student does not require special education. For purposes of other health impairment eligibility, the District contends that Student’s educational performance was not adversely impacted and even if it were, Student does not require special education. 1 The Prehearing Conference Order in this matter set forth two issues rather than three. However, for purposes of organizing this Decision, the issues have been reformulated without changing their substance. 2 Student stipulated that he was not challenging the appropriateness of the occupational therapy assessment conducted prior to the March 20, 2006 IEP team meeting. No evidence on this point was admitted at the hearing. 3 “When determining whether a child has a specific learning disability…a local educational agency shall not be required to take into consideration whether a child has a severe discrepancy between achievement and intellectual ability in oral expression, listening comprehension, written expression, basic reading skill, reading comprehension, mathematical calculation, or mathematical reasoning.” (20 U.S.C. § 1414(b)(6)(A); see also 34 C.F.R. 300.309 (b); Ed. Code, § 56337, subd. (b).) Instead, “a local educational agency may use a process that determines if the child responds to scientific, research-based intervention as a part of the evaluation procedures … .” (20 U.S.C. § 1414(b)(6)(B); see also Ed. Code, § 56337, subd. (c).) Accordingly, the RTI method of determining SLD is not a test or procedure that must be conducted with every child who has a processing disorder, but instead is a way that a local education agency may determine eligibility based on an underachieving child’s response to scientific, research based interventions conducted in the classroom. Student presented no evidence regarding the RTI method of determining SLD eligibility and did not argue in his closing brief that he was eligible under the RTI method. 1. Student is eleven years old and resides within the geographical boundaries of the District. Student lives with his father, mother (Mother), and a younger sibling. Student’s primary language is English. 2. Student is currently in the fifth grade at Franklin Elementary School (Franklin). Student has attended Franklin in a general education classroom since the 2002-2003 school year, when he was in first grade. Did the District Properly Assess Student in All Areas of Suspected Disability? 3. Student contends that the District did not properly assess him in all areas of suspected disability. In general, a local education agency must assess a student in all areas of suspected disability prior to making any determination regarding special education eligibility. A local education must use a variety of assessment tools and strategies to gather relevant functional, developmental and academic information, including technically sound instruments that may assess the relative contribution of cognitive, behavioral, physical and developmental factors. The assessments: 1) must be administered so as not to be racially or culturally discriminatory; 2) must be administered in the language and form most likely to yield accurate information; 3) must be used for purposes for which the assessments are valid and reliable; 4) must be administered by trained and knowledgeable personnel; and 5) must be administered in accordance with any instructions provided by the producer of such assessments. 6. Certified school nurse Anne Ernst (Ernst) conducted a health assessment of Student that included a general health screening of blood pressure, height and weight, and health record review. In addition, Ernst conducted an assessment of Student’s gait, eye tracking, grip, balance and coordination. All appeared normal. Student did not exhibit impulsive behavior, distraction or off-task behavior. There was nothing in Student’s health record indicating a diagnosis of attention deficit disorder (ADD) or attention deficit hyperactivity disorder (ADHD). Ernst explained at hearing that in light of the above, she determined that Student had no health barriers to learning. Ernst was credible given her years of nursing experience and the lack of any evidence contradicting her conclusions. 7. Speech-Language pathologist Susan Freiman Ross (Ross) assessed Student. Ross has a master’s degree in speech and language and a certificate of clinical competence. Ross had worked as a speech-language pathologist for approximately 18 years. 8. Ross did the following to assess for possible deficiencies in speech and language, including possible auditory processing disorders: 1) a review of Student’s records and classroom observation; 2) a TAPS – III test (which tests auditory processing and auditory sentence memory); and 3) an “informal language sample” (which consists of an age appropriate conversation during which conversation, articulation, volume, inflection, rate and fluency are evaluated). Ross noted that Student was cooperative, but fidgeted constantly and played with a plastic bracelet on his wrist during the assessment. 9. Ross credibly explained at hearing that she properly administered the TAPS – III by describing how, prior to using any test in a clinical setting, she practiced administering the test according to the instruction manual. Based on the TAPS-III, her observations, and her review of Student’s records, Ross concluded that Student did not exhibit any weaknesses in the areas tested, such that Student was not eligible for speech and language services. Ross was credible based on her credentials, her experience, and the lack of any evidence contradicting her conclusions. 11. The following assessments were performed in February and March of 2006, as part of the Ghodsi Assessment: Wechsler Test of Intelligence for Children, Fourth Edition (WISC-IV); Test of Visual Processing Skills-R (TVPS-R); Comprehensive Test of Nonverbal Intelligence (CTONI); Developmental Test of Visual Motor Integration; Woodcock-Johnson Tests of Achievement, Third Edition (WJ-III); Conners’ Teacher Rating Scales – Revised: Long Version and Conners’ Parent Rating Scale – Revised: Short Form (Conners’ Rating Scales); Achenbach Child Behavior Checklist; Achenbach Teacher Report Form; Nurse’s Assessment and classroom observation. 12. Ghodsi’s administration of the WISC-IV yielded the following subtest scaled scores: Similarities – 10; Vocabulary – 13; Comprehension – 11; Block Design – 10; Picture Concepts – 9; Matrix Reasoning – 12; Digit Span – 12; Letter-Number Sequencing – 12; Coding – 6; and Symbol Search – 9. Ghodsi’s WISC-IV yielded the following standard scores: Verbal Comprehension – 106; Perceptual Organization – 102; Working Memory Inventory – 110; Processing Speed – 85; and Full Scale 103. Ghodsi concluded that overall, Student’s general cognitive ability was in the average range. Ghodsi noted that Student’s ability in processing simple or routine visual material without making errors was in the low average range, such that Student may require more time to comprehend novel materials. 13. Ghodsi’s administration of the CTONI yielded the following standard scores: Pictorial Analogies – 12; Geometric Analogies – 12; Pictorial Categories – 9; Geometric Categories – 14; Pictorial Sequences – 14; Geometric Sequences – 14; GNIQ – 121; PNIQ – 111; and NIQ – 117. Ghodsi concluded that overall, Student performed within above average limits on the CTONI. 14. Ghodsi’s administration of the TVPS-R yielded the following standard scores: Visual Discrimination – 111; Visual Memory – 80; Visual Spatial Relationships – 112; Visual Form Constancy – 108; Visual Sequential Memory – 119; Visual Figure Ground – 91; Visual Closure – 97; and Visual Perception Quotient – 103. Ghodsi concluded that overall, Student performed within average limits on this test. 15. During Ghodsi’s administration of the WISC-IV, CTONI and TVPS tests, Student gave up easily and/or made impulsive answers, but returned to task when prompted. 16. Franklin’s resource specialist, Linda Rubinstein (Rubinstein) administered Student the WJ-III, Form B, in February of 2006 and the results were incorporated into the Ghodsi Assessment. Rubinstein has been the resource specialist at Franklin since 1998 but is also a credentialed school psychologist with master’s degrees in Education and Counseling. Rubinstein has given the WJ-III approximately 30 to 40 times a year for the past nine years. Form B, rather than Form A, was administered to minimize any unlikely, but possible, “practice effect” (a theoretical increase in test scores from repeated exposure to the test). Rubinstein’s administration of the WJ-III yielded the following grade equivalent/standard scores: Reading Fluency – 6.9/113; Letter-Word – 5.8/108; Passage Comprehension – 5.2/104; Math Fluency 4.2/97; Calculation – 4.8/102; Applied Problems – 5.6/108; Written Fluency – 6.1/112; and Spelling – 7.8/118. 17. The WJ-III was given as a standardized academic achievement test. Rubinstein was credible in her testimony regarding her administration of the WJ-III based on her years of experience administering standardized psychoeducational tests in a school setting. 19. The Conners’ Rating Scales completed by both Mother and McCullough yielded T-scores (a score with an average of 50 and a typical average range of 40 to 60) in the “markedly atypical range” in the following areas: Oppositional; Cognitive Problems/Inattention; Hyperactivity; Conners’ ADHD Index; Conners’ Global Index: Restless-Impulsive; Conners’ Global Index: Emotional Lability; Conners’ Global Index: Total; DSM-IV: Inattentive; DSM-IV: Hyperactive-Impulsive; and DSM-IV: Total. The Conners’ completed by Mother yielded T-scores in the “moderately atypical” range in “anxious-shy” and “perfectionism” and “slightly atypical” in “social problems.” The Conners’ completed by McCullough yielded T-scores in the “markedly atypical” range in “anxious-shy” and “social problems” and “average” in “perfectionism.” Ghodsi noted that these results are consistent with children who have been diagnosed with ADHD, but that other causes of the results could not be ruled out. 20. On March 20, 2006, an IEP team meeting was held to consider Student’s eligibility for special education. At the meeting, Student’s mother provided the IEP team with the October 28, 2005 Psychoeducational Assessment by licensed educational psychologist Nita Ferjo, Ed.D. (Dr. Ferjo) of Cedars-Sinai Medical Center (Cedars-Sinai). District personnel did not have an opportunity to review Dr. Ferjo’s report until the March 20, 2006 IEP team meeting. Dr. Ferjo did not testify at hearing, and the only evidence of her qualifications is that contained in her report. 21. Dr. Ferjo administered the WISC-IV, which yielded the following subtest scaled scores: Block Design – 9; Similarities – 8; Picture Concepts – 8; Coding – 6; Vocabulary -9; Word Reasoning – 9; Matrix Reasoning – 10; Comprehension – 7; Digit Span – 9; Symbol Search – 11; Picture Completion – 9; Information – 12; Arithmetic – 9; and Letter Number Sequencing – 9. Dr. Ferjo’s WISC-IV yielded the following standard scores: Verbal Comprehension – 89; Perceptual Organization – 94; Working Memory Inventory – 94; Processing Speed – 91; and Full Scale 89. 22. Dr. Ferjo administered the WJ-III, Form A, which yielded the following age-equivalent (based on a norm of 9.8)/standard scores: Letter-Word Identification – 10.4/104; Reading Fluency – 10.7/106; Story Recall – >21/120; Understanding Directions – 8.5/93; Calculation – 9.0/94; Math Fluency – 9.2/94; Spelling – 9.10/101; Writing Fluency – 9.8/100; Passage Comprehension – 8.8/95; Applied Problems – 9.9/ 101; and Handwriting – 7.8/90. 24. The March 20, 2006 IEP team meeting resulted in a finding that Student was ineligible for special education. Student filed the instant due process claim on June 27, 2006. 25. At hearing, Student did not produce evidence that the District’s assessments were racially or culturally discriminatory, were not administered in Student’s primary language of English, were used for purposes for which the assessments were not valid and reliable, or were not administered by trained and knowledgeable personnel. 26. Student did not present evidence at hearing to demonstrate that the District should have conducted some assessments other than those administered in order to determine whether Student was eligible for special education based on an attention deficit disorder. 27. Student’s expert, Dr. Levin, was critical of the District’s WJ-III results in math fluency. Dr. Levin thought that Student’s math fluency scaled score of 97 on the WJ-III administered by Rubinstein was inconsistent with his result of 77 (see Factual Finding 88) because Rubinstein reported the number of problems attempted, not the number of problems correct. Dr. Levin was not credible on this point given that he had no actual knowledge of how Rubinstein administered the WJ-III. Moreover, Rubinstein credibly testified that she was experienced in administering the test and had not miscalculated as Dr. Levin speculated. Further, Dr. Levin’s criticism on this point was not persuasive in light of his own conclusion that Student’s math fluency result was not indicative of underachievement in math, but instead showed a deficit in taking timed tests (see Factual Finding 88). 28. Student’s expert, Dr. Levin, also testified that he was critical of the District’s administration of the WISC-IV because Ghodsi’s results may have been influenced by a “practice effect” due to Dr. Ferjo administering the WISC-IV within one year prior to Ghodsi. In addition, Dr. Levin was critical of Ghodsi’s administration of the WISC-IV, because the Ghodsi Assessment noted that Student asked questions during the test and Ghodsi would sometimes prompt Student to keep going. As to the possible “practice effect,” Dr. Levin explained that such an effect does not invalidate the test results, but should be considered when interpreting the test results. Dr. Levin had no knowledge regarding whether the District was aware of Dr. Ferjo’s report prior to conducting its assessments. No evidence was presented at hearing that Ghodsi ever answered Student’s questions during the WISC-IV. In light of the above, Dr. Levin’s criticisms of Ghodsi’s administration of the WISC-IV do not result in a finding that the Ghodsi WISC-IV was invalid, particularly when, as set forth in Factual Findings 12, 13 and 87, Dr. Levin’s test results regarding Student’s intellectual ability were generally consistent with Ghodsi’s. 29. As set forth in Factual Findings 1 and 4 through 28, the evidence supports a finding that prior to March 20, 2006, the District properly assessed Student in all areas of suspected disability. 30. Student contends that he is eligible for special education under the category of specific learning disability (SLD) based on an attention deficit disorder. SLD eligibility may be found by either of two methods: the “severe discrepancy” method or the response to intervention (RTI) method.3 The evidence supports a finding that Student is not eligible for special education under the SLD category. Does a severe discrepancy exist (based on either a comparison of standardized tests or on other factors including observations). If the answer to both questions is “yes,” the child is considered to have a SLD. A determination must then be made regarding whether, as a result of that SLD, the child needs special education. 32. As set forth in Factual Findings 18, 19, and 85 through 95, Dr. Levin credibly diagnosed Student with ADHD – Primarily Inattentive Type and the District’s administration of behavior rating scales was consistent with the diagnostic criteria for an attention deficit disorder. In its closing brief, the District notes that it “does not deny that [Student] has a diagnosis of either ADD or ADHD.” The facts support a finding that Student has a disorder in one of the basic psychological processes for purposes of determining SLD eligibility. 33. A severe discrepancy between intellectual ability and academic achievement may be demonstrated by a comparison of “a systematic assessment of intellectual functioning” and “standardized achievement tests.” A severe discrepancy is greater than 1.5 multiplied by the standard deviation of the computed differences between the two types of tests. As stated in Factual Findings 12, 13, 16, 17, 21, 22, 87 and 88, at no time has psychoeducational testing revealed the required severe discrepancy regardless of when the test was administered and even if a “practice effect” or prompting influenced the results. Further, Student’s expert, Dr. Levin, offered no testimony that a severe discrepancy existed based on his testing. In the instant case, the facts support a finding that Student has failed to show that standardized testing demonstrates a severe discrepancy between cognitive ability and achievement. 34. When standardized testing does not reveal a severe discrepancy, a severe discrepancy may still be found by evaluating: 1) data obtained from standardized assessment instruments; 2) information provided by the parent; 3) information provided by the pupil’s present teacher; 4) evidence of the pupil’s performance in the regular and/or special education classroom obtained from observations, work samples, and group test scores; 5) consideration of the pupil’s age, particularly for young children; and 6) any additional relevant information. 35. As stated in Factual Findings 12, 13, 16, 17, 21, 22, 87 and 88, Dr. Ferjo, and District employees Ghodsi and Rubinstein administered the WISC-IV and WJ-III to Student, while Dr. Levin administered the Stanford-Binet and the WJ-III to Student. All of these tests are standardized tests that can be used to determine if there is a severe discrepancy between Student’s intellectual ability and academic achievement. According to Dr. Levin, Student’s intellectual ability and core academic achievement were both in the average range. According to Dr. Ferjo, Student’s intellectual ability was in the average to low-average range and his academic functioning was in the average range. The Ghodsi Assessment reflects a finding that Student’s intellectual ability was in the average range, and that his overall academic achievement was average to above average in some areas. 36. Student’s kindergarten teachers told Mother that Student had trouble focusing, was easily distracted and moved around too much. 37. During first grade, Student was assessed for special education eligibility because of a concern with lack of attention, focus and failure to complete work. 38. Student had fewer problems during second grade but continued to have difficulty completing his work in school. 39. During third grade, Student continued to have problems with attention, focus, and completing his school work. Mother was concerned because Student’s grades were “below basic” in many areas. Mother felt that when individual attention was shown to Student during this time period, Student was motivated to complete more work. 40. Between third and fourth grade, Mother enrolled student in summer school at her own expense to have Student work on homework completion. 41. Mother expressed concern to former Franklin school psychologist and current Vice Principal Deanna Sinfield (Sinfield) that Student should be placed in a fourth grade classroom that could address Student’s attention issues. Mother was concerned and unhappy that Student was ultimately placed in a combined fourth and fifth grade class because she thought it was too difficult. Student struggled with anxiety, fear and low self-esteem during the transition to a combined class taught by McCullough. Mother told McCullough that Student had issues with attention. 42. During fourth grade, Mother thought that it was unfair of McCullough to threaten to limit Student’s participation in school field trips until schoolwork was completed because Mother thought that Student was not capable of completing the work. Mother perceived that during fourth grade, Student was being given four to five times more homework than in third grade. Mother tried helping Student with private tutors, counseling and biofeedback, but this did not result in better homework completion by Student. 43. Mother did not agree with the March 20, 2006 IEP team’s conclusions that Student was capable of doing his work but chose not to. Mother disagreed with the IEP team’s conclusions regarding Student’s present levels of performance based on Student’s classroom grades of “below basic” in some areas. 44. Beginning in September of 2006, Tom Shaw (Shaw) has been Student’s fifth grade teacher. Shaw has no formal training in special education, but has received guidance on implementing classroom modifications for children with attention deficit issues. 45. Shaw observed that Student pays attention and participates verbally during class but loses focus when required to complete independent written work. During independent work time in class, student sometimes traced a pattern on his shoe, looked at a poster on the wall, or got up to get a tissue. In tasks requiring written expression, there are few details in student’s work. However, Student has no difficulty with verbal expression or with spelling and grammar. Shaw assigns approximately one hour of homework per day and occasionally assigns longer term projects. Student’s homework was completed on time only 25 to 50 percent of the time. 46. Shaw implemented accommodations for Student such as moving Student closer to the front of the class, reducing the expectations for the amount of detail in Student’s written work, reducing the amount of math homework student was required to complete, and grouped Student with peers for independent work. The above strategies have not resulted in Student timely completing a greater percentage of his independent work. 47. Shaw believes Student’s written deficits are motivational problems because Student has made statements to the effect that he does not want to do the work. According to Shaw, he has seen no indication that Student cannot complete his work. Shaw was a credible witness given his teaching experience and his demeanor, which reflected a concern for wanting Student to do the best work he was capable of. 48. Paul Kumasaka was Student’s third grade teacher during the 2004-2005 school year. Kumasaka is a credentialed teacher, who also possesses master’s degrees in administration and curriculum and instruction. Kumasaka had no formal training in special education, but had classroom experience with children with attention deficit issues. Kumasaka has a ten-year-old daughter with ADHD. 49. During third grade, the homework consisted of approximately 45 minutes of reading comprehension and math, plus 20 to 30 minutes of pleasure reading. Students were also assigned long-term reports on cultural and historical topics. 50. In class, Student demonstrated a lack of concentration by sharpening pencils, talking, or tying his shoes when not needed. 51. By the end of the year, Student achieved grades of “basic” in all areas of reading and writing except writing achievement, in which, overall he was “below basic.” Student was “proficient” or “basic” in all areas of mathematics except “uses appropriate units and tools to measure the properties of object,” in which he was “below basic.” Student’s grades of “below basic” or “far below basic” were the result of not finishing independent work, not a reflection of an inability to do the work. 52. Student could have performed better in third grade if Student improved his attitude and work habits. Kumasaka’s impression was that Student did not do written work to the best of his ability. Kumasaka partially attributed Student’s difficulty with writing assignments to the transition from block letters to cursive writing that is taught in third grade. Student could complete work when prompted. During third grade, Student was provided with accommodations such as moving Student closer to the teacher, reduction of workload, pairing Student with peers who could help, and having Student work on his independent work during recess. Getting Student to complete his work was an issue throughout third grade. Completing work just “didn’t seem important” to Student. Kumasaka’s testimony was credible, given his years of teaching experience, his demeanor of concern for Student, his ability to remember many details about Student, and his experience as a parent of a child with ADHD. 53. McCullough was Student’s fourth grade teacher during the 2005-2006 school year. McCullough is a credentialed teacher with 36 years experience. McCullough had no formal training in special education, but had experience implementing accommodations for students with attention deficit issues. 54. McCullough taught Student in a combined 4th and 5th grade class that consisted of a total of 30 students, 18 of whom were in fourth grade. Homework assignments consisted of school work that students failed to complete in class. The only other homework was long-term projects like book reports or research projects. 56. McCullough thought that Student had the “capability of being a very good student” but had trouble “demonstrating by written work” that he had learned the material. Student participated verbally in class and would volunteer to do math problems on the board. Compared to the rest of his class, the only difference McCullough noted was Student’s failure to timely complete independent work. Student appeared to complete work that he wanted to do. McCullough concluded that Student chose not to do his work based on Student’s statements to her that he “did not have time” or “did not want to do” the work. 57. On March 27, 2006, McCullough sent an email to Mother noting that Mother had not responded to McCullough’s “three check notice” regarding Student’s incomplete school work. In the email, McCullough listed three overdue, long-term assignments that Student needed to complete in order to be allowed to participate in school field trips. Mother replied that “all of the work is done” except for one of the written summary assignments and that Student “had everything in his folder.” This finding demonstrates that Student was capable of doing independent work, and in this instance had actually completed most of it, but had failed to turn it in. 58. McCullough was generally credible given that she readily admitted when she did not remember something and her testimony was overall corroborated by others. 59. Retired Administrator Pat Samarge (Samarge) was the Administrator at Franklin during the time Student attended first through fourth grades. Samarge had been employed by the District in various capacities since 1963, and had experience as a classroom teacher, principal and administrator. Samarge was credentialed as both a teacher and administrator. Samarge did not have formal training in special education, other than classroom experience, but had participated in numerous IEP teams and student study teams. 60. During Student’s fourth grade year, Samarge was aware from McCullough and Student’s Mother that Student had difficulty completing assignments. Samarge met with Student two to four times to work on his written summary assignments. Samarge perceived that Student could do the work when she sat with him. Samarge emailed Mother suggesting that Student attend “homework club” after school instead of playing on the athletic field, demonstrating that Student was not maximizing his opportunities to complete homework. Samarge was credible given her concerned demeanor and her candor when she did not recall or know the answer to a question. 61. Prior to the March 20, 2006 IEP team meeting, Rubinstein observed Student in class on three occasions, for approximately 20-30 minutes per observation. Rubinstein noted that Student was not attending to completion of independent writing tasks. Rubinstein’s impression from observing and testing Student was that he did not complete his work because he did not want to. Rubinstein did not think that Student required resource room services, as he was already performing academically at a level beyond the students who received resource room services. 62. Since January of 2006, Sinfield has been the assistant principal at Franklin. Previously, she was the school psychologist at Franklin for six and a half years. Sinfield has a master’s degree in counseling and is a credentialed school psychologist. Prior to her employment at Franklin, Sinfield had six and a half years experience as a school psychologist. Sinfield was experienced in administering standardized tests, counseling, formulating modifications for children and trained others in how to conduct psychoeducational testing. Sinfield knew Student since the time he enrolled in first grade at Franklin and had counseled Student and worked with Student’s parents regarding his school performance. Based on Sinfield’s knowledge of Student, she credibly concluded that Student’s problems with work completion were motivational because Student completed work when given tangible rewards such as food or recess time. 63. In the spring of 2005, Student took the California Standardized Testing and Reporting (STAR) test. Student achieved a “basic” score of 320 in English-Language Arts and a “proficient” score of 361 in mathematics. 64. As stated above in Factual Findings 16, 17, 22, and 88, Student’s academic achievement as measured by standardized testing is generally age appropriate. No testimony was offered that Student’s age should be considered in determining eligibility. 65. Student was not deemed eligible for special education under the SLD category when he was in first grade. Rubinstein administered the WJ-III to Student in November of 2002. The only areas in which Student tested below his grade equivalent norm of 1.3, was in story recall, in which Student scored a 1.0 grade equivalent, and applied problems, in which Student scored a 1.2 grade equivalent. Sinfield administered the Wechsler Intelligence Scale for Children, Third Edition, to Student in December of 2002 and obtained the following standard scores: Verbal – 94; Performance – 99; Full Scale – 96; Verbal Comprehension – 95; Perceptual Organization – 97; Freedom from Distractibility – 104; and Processing Speed – 114. An IEP team meeting was conducted in January of 2003. Rubinstein and Sinfield were part of the IEP team. Cosette Case, Student’s counselor from the ADHD clinic at Cedars-Sinai, also attended the meeting. Student was deemed ineligible for special education given that his academic skills tested above or at grade level, there was no discrepancy between student’s cognitive ability and academic achievement, and student was making progress in the classroom. 66. At the March 20, 2006 IEP team meeting, the team discussed whether there was anything in the Ghodsi Assessment that demonstrated any condition that interfered with Student’s ability to access the curriculum. Although “attention” was “an area of concern,” the team concluded that Student’s attention issues did not significantly impact his educational performance. The team did not feel that Student was eligible based upon any deficits in auditory or visual processing, ADD or ADHD. The IEP team concluded that Student did not qualify for special education and related services under the categories of specific learning disability or other health impairment. The IEP team concluded that Student was cognitively functioning within average limits, that there was not a 1.5 standard deviation between cognitive ability and academic achievement as measured by the WISC-IV, the CTONI and WJ-III, and that based on classroom experience, Student’s issues regarding work completion were not a reflection of inability, but instead related to Student’s motivation. The IEP team considered the fact that when motivated, Student could complete his work and otherwise demonstrated that despite his failure to complete independent written work, he knew the classroom material. The team did not rely on a single test or procedure in determining that Student was not eligible for special education. 67. The evidence supports a finding that Student does not exhibit a severe discrepancy between intellectual ability and achievement and is therefore not eligible for special education under the category of SLD. Standardized testing did not reveal a severe discrepancy between intellectual ability and achievement. Dr. Levin recognized that Student is capable of completing his schoolwork at grade level if given sufficient time. Student’s grades do not provide evidence of a severe discrepancy between ability and achievement because the classroom grades were based on Student’s failure to timely complete independent work assignments. Student’s teachers for the past three school years all credibly testified that Student’s completion of school work depends on Student’s motivation. Student has average intellectual ability, is capable of demonstrating average academic achievement on standardized tests, and is capable of completing independent school work when motivated. 68. Factual Findings 86 through 95 demonstrate that nothing in Dr. Levin’s testimony changes this result. Dr. Levin performed no classroom observations of Student and had only met with Student for purposes of his assessments. Although Dr. Levin credibly diagnosed Student, Dr. Levin candidly admitted that he was not offering an opinion on whether Student met the eligibility criteria for special education. Although Dr. Levin concluded that Student’s condition was “inhibiting his academic performance,” in light of the totality of the evidence, Dr. Levin’s conclusions fail to demonstrate the required severe discrepancy between ability and achievement. 69. Student contends that he is eligible for special education under the category of other health impairment (OHI). In order for a student to be eligible for special education under the category of OHI, a student must have “limited alertness, including a heightened alertness to environmental stimuli” that is due to a chronic condition such as attention deficit disorder or attention deficit hyperactivity disorder and that adversely affects the student’s educational performance. Even if a chronic condition such as attention deficit hyperactivity disorder adversely affects a student’s educational performance, the student must still be found to require special education and related services. 70. As discussed in Factual Findings 85-95, Dr. Levin credibly diagnosed Student with ADHD- Primarily Inattentive Type. Dr. Levin also credibly testified that this condition is chronic given that Dr. Levin’s conclusion was corroborated by evidence that Student exhibited symptoms of an attention disorder as early as kindergarten (Factual Finding 36) and has continued to do so (Factual Findings 37, 38, 39, 45, 50, 56, 61 and 65). Accordingly, Student demonstrated that he has limited alertness from a chronic condition for purposes of determining OHI eligibility. 71. However, as discussed in Factual Findings 16, 17, 22, 45, 46, 47, 52, 55 through 58, 60, 63, and 88, Student’s scores on standardized tests and the testimony of Student’s teachers supports a finding that Student’s condition does not adversely affect his educational performance. Despite having difficulty with timely completion of independent assignments, Student is capable of performing at grade level and has demonstrated grade level performance on standardized tests of academic achievement. 72. Even if a child has an attention deficit that adversely affects the child’s educational performance, to be eligible for special education either under the category of OHI or SLD, the child must need special education and related services that cannot be provided with modification of the regular school program. Factual Findings 6, 9, 12, 13, 14, 16, 17, 21, 22, 23, 61, 73, and 87 through 90, demonstrate that even assuming Student has an attention deficit, Student does not require special education and related services. The only indication that Student’s educational performance is suffering is his classroom grades. Student’s last three teachers credibly testified that Student’s grades could have been higher if Student had been motivated to complete independent work in a timely manner. Student’s teachers and Dr. Levin agreed that Student had the ability to complete his work. The essence of Dr. Levin’s credible recommendations was that Student requires the type of modifications, i.e., additional time, organizational support, work load modifications and time management support that could be provided through modification of the general education curriculum. 73. Dr. Levin recommended, among other things, “one hour per week of in-school DIS-type counseling” for Student’s self-esteem and motivation, “two and a half hours per week of resource assistance” because Student “needs to be reminded to stay organized, take his time, and write down all the details of his assignments,” and accommodations such as extended test time, decreased stimulation in the learning environment, preferred seating, a written assignment log, breaking long-term assignments into weekly tasks, allowing for note sharing and help with highlighting text. Dr. Levin’s recommendations regarding counseling and resource services are not credible because Dr. Levin never observed Student in the classroom or doing homework and he candidly admitted that he could not provide an opinion regarding Student’s eligibility for special education. 76. On April 30, 2006, Samarge replied to Mother that Student was not entitled to an “IEP” because Student “does not qualify for special education services.” At the time, Samarge did not know what an IEE was and thought that Mother had made a typographical error. 77. On May 1, 2006, Mother emailed Samarge to clarify that she disagreed with the District’s assessment, was not asking for another IEP, but was demanding her right to an “IEE which means independent educational evaluation.” On May 2, 2006, Samarge emailed Mother to state, “I did not know about an IEE. I have forwarded your request to the district regarding this procedure.” Samarge did not do anything in response to the request for information regarding District criteria for IEE’s. 78. On May 18, 2006, Mother met with Deputy Superintendent Tim Walker (Walker). At the meeting, Walker did not offer to provide an IEE, nor explain what the District’s IEE criteria were. Instead, Walker stated that he had to research the issue and that someone would get back to Mother. 79. District Special Education Coordinator Maxine Glazer (Glazer) was given a directive by Walker to send an “assessment plan” to Mother, which Glazer understood would entitle Student to an “outside assessment” by either of two other school districts that were members of the District’s special education local plan area. 81. Glazer left one telephone message for Mother asking if Mother intended to sign the “assessment plan.” Glazer never used the words “IEE” in her phone message to Mother because she assumed Mother would not understand it. Glazer never saw Mother’s IEE request. 82. In response to her IEE request, Mother was not provided with any document other than the “assessment plan.” No District employee or District document ever specifically explained to Mother that the “assessment plan” was the District’s offer to provide an IEE. 83. Mother did not sign the “assessment plan” because she was not sure that it was an offer and agreement by the District to provide an IEE. Mother was credible on this point because even as she testified regarding her frustration with the District, she was quick to point out that many District employees were competent and did their jobs well. 84. The District did not timely file a due process hearing request regarding the adequacy of its assessment. Further, despite having the burden of proof on this issue at hearing, the District did not produce evidence regarding the “agency criteria” for an IEE. 85. On July 1 and 2, 2006, Student was independently evaluated by Dr. Philip Levin. Dr. Levin has a Ph.D. in psychology from the California School of Professional Psychology and had been a post-doctoral neuropsychological fellow at the University of California at Los Angeles (UCLA), School of Medicine. Dr. Levin is currently an assistant clinical professor at UCLA and trains others in conducting neuropsychological assessments. 86. Dr. Levin administered the following tests: Achenbach; Auditory Discrimination Task; Beery Test of Visual Motor Integration; California Verbal Learning Test, Children’s Version; Conners’s Rating scales; Clinical Evaluation of Language Functioning; Expressive One Word Picture Vocabulary Test; FAS; Grey Oral Reading Test; Hand Preference Test; Wide Range Assessment of Memory; WJ-III; Rapid Atomized Naming; Rey-Osterreith Complex Figure; Color Trails – Stroop Test; Trail Making Test – Test of Phonological Awareness and Test of Nonverbal Intelligence; Peabody Picture Vocabulary Test; Hand Dominance Test; Children’s Category Test; Wisconsin Card Sorting Test; and Stanford-Binet, fifth edition. 87. In light of the possible “practice effect,” Dr. Levin did not administer the WISC-IV to test Student’s cognitive ability, but instead used the Stanford-Binet, fifth edition (Stanford-Binet). The Stanford-Binet uses different subscales than the WISC-IV and may assist in determining a difference between “crystallized” intelligence (knowledge of facts) and “fluid” intelligence (the ability to use information). Overall, the Stanford-Binet revealed that Student had verbal and non-verbal intelligence in the average range. Student’s fluid reasoning was above average, his quantitative reasoning was average, his knowledge was below average, and his working memory was average. Dr. Levin attributed the deficit in knowledge to Student’s attention to new information being sporadic. 89. Dr. Levin also assessed Student’s immediate attention, sustained attention and divided attention by creating situations in which Student had to focus on a task despite alternative stimuli. Based on his observations, Dr. Levin concluded that Student had sustained attention ability in the lowest end of the average range and that Student had difficulty with dividing his attention when faced with verbal tasks. 91. Dr. Levin noted that Student scored in the average to low average range on the Wisconsin Card Sorting Test, which requires the test subject to generate, test and modify hypotheses to solve a problem. Dr. Levin concluded that this result indicates an executive control function deficit that may manifest as an appearance of rigid adherence to an idea or defiance. According to Dr. Levin, there is currently a theory that executive control functioning is related to ADHD, but Dr. Levin offered no testimony that such a theory was generally accepted. Dr. Levin’s conclusions on this point were not corroborated by teacher and administrator observations (see Factual Findings 45, 47, 51, 52, 55 through 57, and 60 through 62), all of which credibly reported that Student’s classroom deficiency was in independent work completion, not in the failure to learn new concepts. 92. Overall, Dr. Levin’s assessment led him to rule out visual processing deficits in Student. 93. As to social and emotional functioning, Dr. Levin noted that Student reported symptoms of depression related to school performance. Dr. Levin noted that self-esteem and depression would influence a person’s motivation. 94. Dr. Levin was unable to obtain current teacher input at the time of his assessment of Student in July of 2006, so in November of 2006, Dr. Levin had Mother and Student’s fifth grade teacher, Shaw, complete Conners’ Rating Scales regarding Student. Consistent with Dr. Levin’s conclusion in July of 2006, Student demonstrated behavior consistent with a diagnosis of ADHD. 95. Based on Dr. Levin’s education, experience, and testing, he credibly concluded that Student was within the diagnostic criteria for ADHD- Primarily Inattentive Type. Dr. Levin described Student’s condition as “chronic” because it would exist throughout Student’s life. 96. Student’s parents paid Dr. Levin $2,150 for the Pediatric Neuropsychological Evaluation that was conducted on July 1and 2, 2006. 97. The evidence supports a finding that the District failed its responsibility to “ensure” that an IEE was provided to Student. Factual Findings 75 through 84 demonstrate that even if the District’s intent was to provide an IEE, that intent was never communicated to Student’s parents and the District could have, but did not, file a due process hearing request to establish the adequacy of its assessment. 8. Code of Federal Regulations, title 34, section 300.309(a), states that an IEP team may determine that a child has a specific learning disability, if the “child does not achieve adequately for the child’s age or to meet State-approved grade-level standards” in one or more of the following areas: oral expression, listening comprehension, written expression, basic reading skill, reading fluency skills, reading comprehension, mathematics calculation and mathematics problem solving. Ensure that an independent educational evaluation is provided at public expense, unless the agency demonstrates in a hearing pursuant to §§ 300.507 through 300.513 that the evaluation obtained by the parent did not meet agency criteria. Did the District properly assess Student in all areas of suspected disability prior to the March 20, 2006 IEP meeting? 13. As set forth in Factual Findings 3 through 29, and Legal Conclusions 1 through 5, Student did not meet his burden of showing that he was not properly assessed in all areas of suspected disability prior to the March 20, 2006 IEP team meeting. Student did not meet his burden of demonstrating that there was an assessment that the District should have, but did not conduct, or that the District’s assessment was improper in any way. Is Student eligible for special education and related services under the categories of specific learning disability or other health impairment? 14. As set forth in Factual Findings 32 through 68, 72 and 73, and Legal Conclusions 1, 2, 7, 8, and 10, Student did not meet his burden of showing that as of the March 20, 2006 IEP team meeting he was eligible for special education under the category of specific learning disability. Although Student established that he has been clinically diagnosed with ADHD – Primarily Inattentive Type, Student failed to establish a severe discrepancy between cognitive ability and achievement when measured either by standardized testing or other information, particularly where the major indication of Student’s deficit is homework completion, not a deficit in understanding and retaining the curriculum. Further, Student did not meet his burden of demonstrating that he required special education and related services. 15. As set forth in Factual Findings 69 through 71, and Legal Conclusions 1, 2, 6, 9, and 10, Student did not meet his burden of showing that as of the March 20, 2006 IEP team meeting he was eligible for special education under the category of OHI. Although Student established that he has limited attention due to chronic ADHD, he failed to demonstrate that this condition adversely affected his educational performance. In particular, the evidence showed that Student was capable of completing his schoolwork when motivated. Further, Student did not meet his burden of demonstrating that he required special education and related services. Are Student’s parents entitled to reimbursement for obtaining, as an IEE, the neuropsychological assessment conducted by Dr. Levin in July of 2006? 16. As set forth in Factual Findings 74 through 84, and Legal Conclusions 1, 11 and 12, Student met his burden of showing that he is entitled to reimbursement for the IEE conducted by Dr. Levin. In particular, Mother unequivocally and unambiguously requested an IEE from the District based on her disagreement with the District’s assessments. Mother could not be expected to decipher the District’s intentions when no District employee ever verbally stated that an IEE would be provided, the “assessment plan” provided by the District was on the same form that had previously been provided to Mother for District assessments, and nowhere in writing did the District state that an IEE would be provided as requested. Moreover, despite having the opportunity at hearing to demonstrate that it was not required to pay for the IEE because Dr. Levin’s assessment did not meet agency criteria, the District presented no evidence on this point. 1. Within 45 days of the date of this Order, the District shall reimburse Student’s parents the sum of $2,150 for the IEE conducted by Dr. Levin. 2. All other relief sought by Student is denied. The District prevailed on Issues 1 and 2, i.e., whether Student was assessed in all areas of suspected disability and whether Student was eligible for special education and related services. Student prevailed on Issue 3, i.e., whether Student is entitled to be reimbursed for the cost of Dr. Levin’s IEE.